The Polaris 3900 Sport delivers unmatched pool vacuum power, incomparable convenience, and legendary performance. It integrates the time-proven Polaris Classic series features you love with innovative new enhancements for added durability, reliability, and performance. 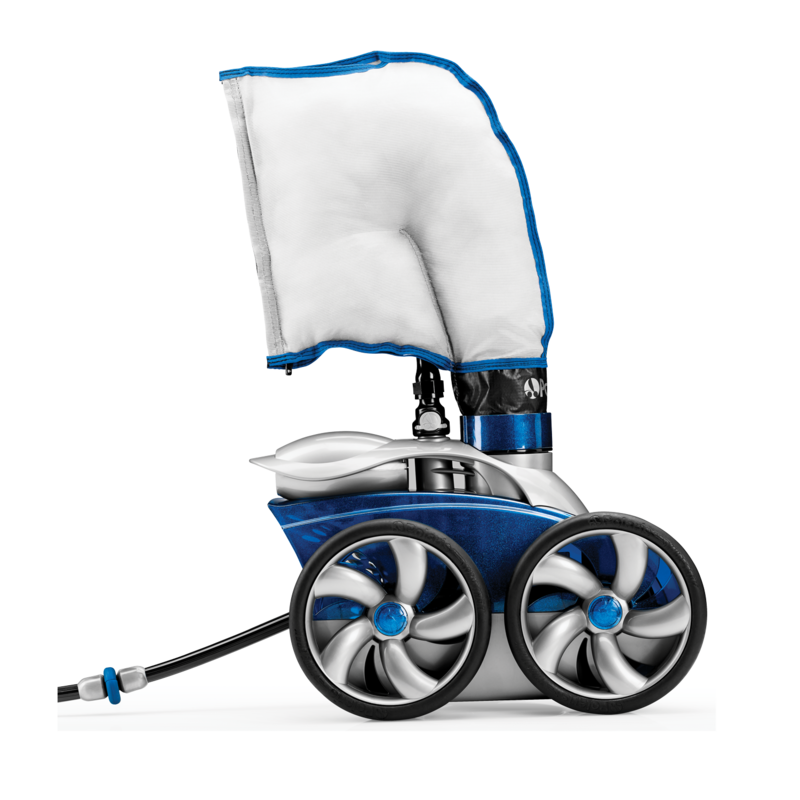 The Polaris 3900 Sport combines the dynamic appeal of a completely re-engineered body design with the most sophisticated features, producing maximum pool vacuum power and drive torque for quicker cleaning and fewer hang-ups. It features an all-wheel PosiDrive system with durable stainless steel drive chain that delivers 50% more torque for maximum speed and performance. 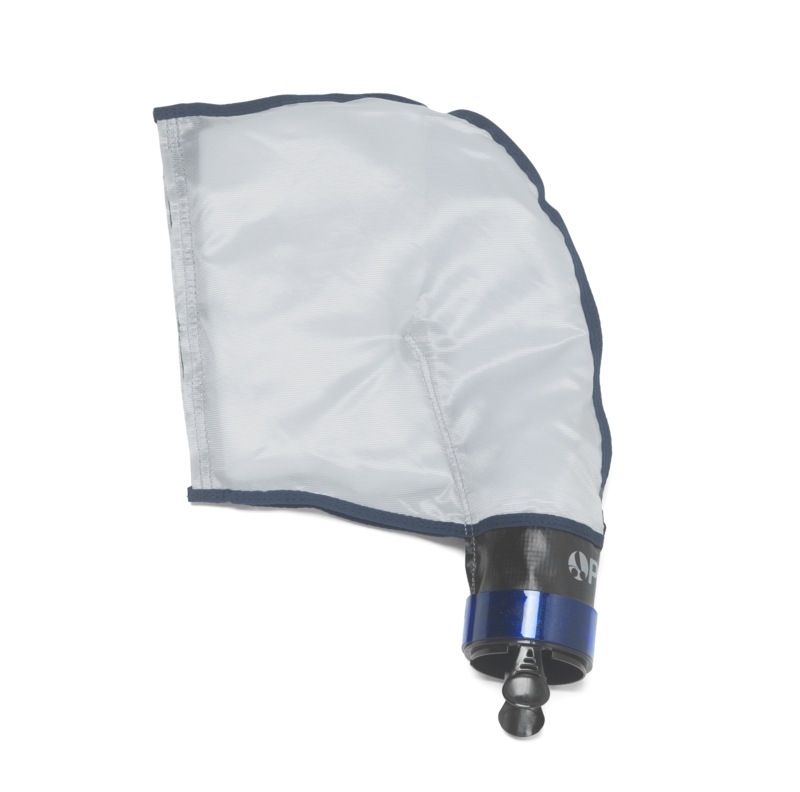 And, it is equipped with a dual-chamber zippered SuperBag that picks up and stores more debris, making cleaning easy and less frequent. It also features innovative auto-reverse technology, which enables it to free itself if it gets stuck. 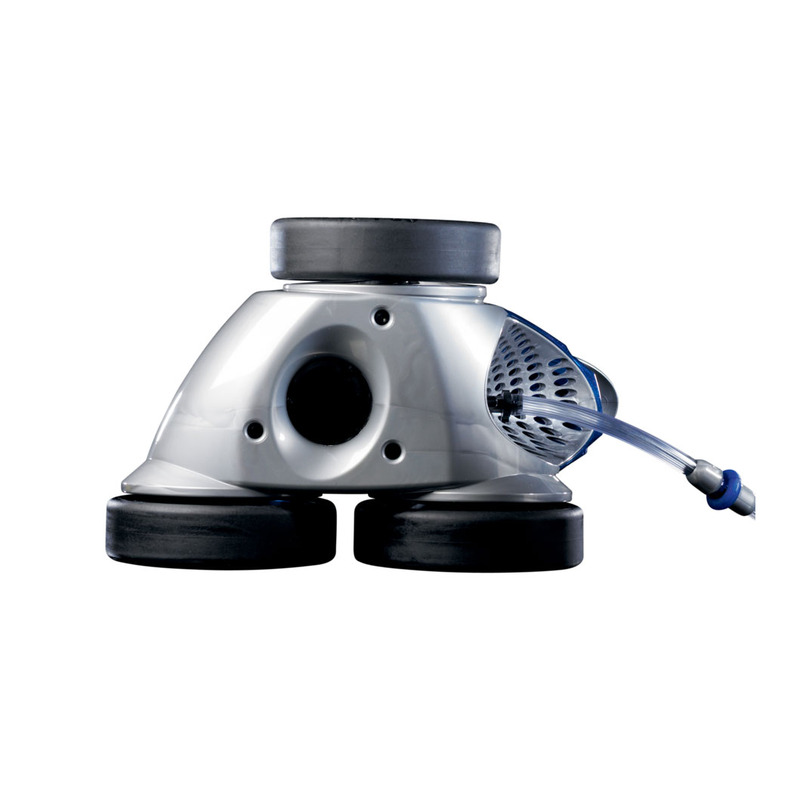 The Polaris 3900 Sport pressure cleaner works in all in-ground pools, and requires a booster pump. It supplements the pool's filtration system by circulating an additional 40 gallons of water per minute through its filter bag. 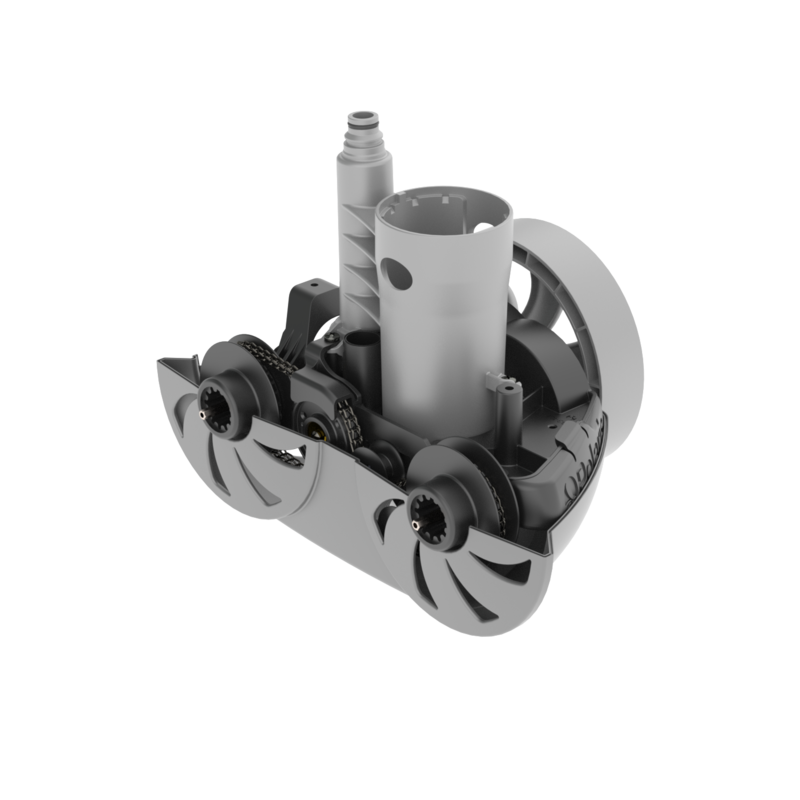 The 3900 Sport includes TailSweep PRO, an advanced sweep hose enhancement that blows debris out of corners and hard to reach places, while also keeping water from spraying outside the pool. No more wet windows or walkways! 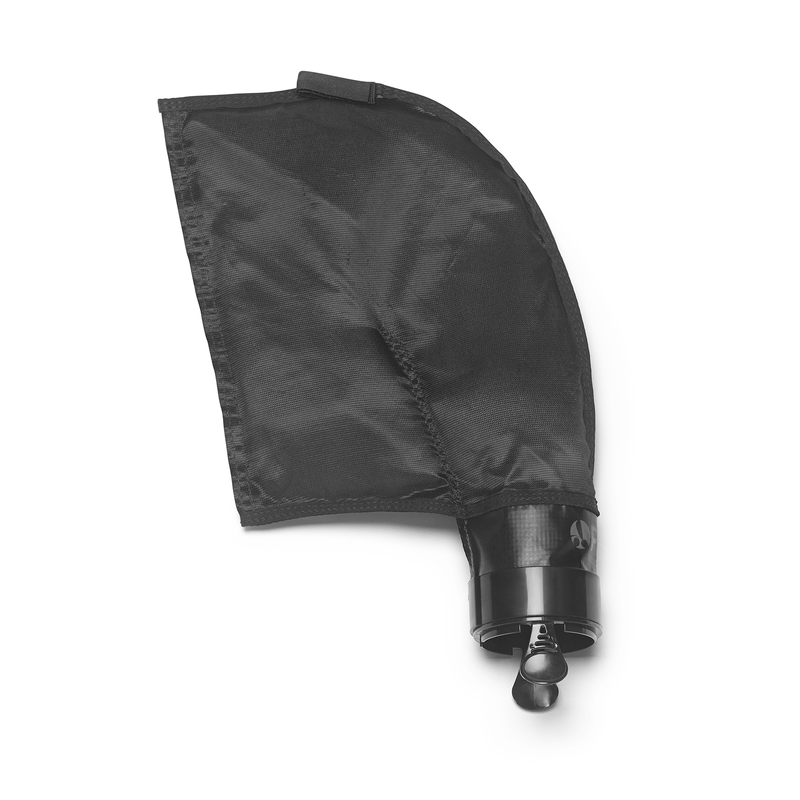 39-310 All-Purpose Dual-Chamber Zippered SuperBag - Designed for expanded debris capacity. R0543200 Factory Tune-up Kit. Includes 1 vacuum tube assembly, 1 feedhose connector o-ring, 10 screws, 1 chain, 1 wheel sprocket assembly, 1 chain tensioner kit, 1 rear axle block assembly, 1 front axle block assembly, 1 gearbox assembly, 1 bottom housing, 1 single-side wheel, 1 fastener kit, 1 chain guard, 1 wheel spacer, 1 bumper and 1 wheel lock screw. Hold the back up valve out of the water and verify that it cycles on and off. A complete cycle takes about three minutes. If it stays on all the time or doesn't come on at all then replace the back up valve. Cleaner doesn't clean entire pool or stays at one end. 1. Verify that the feed hose is within 6" (further or shorter) than the farthest point of the pool. 2. Check the brass insert on the single side wheel. If it has come loose, replace it. 3. Verify the thrust jet is in the correct position. 4. Check to see if drive chain has disengaged. 5. Ensure the backup valve is cycling. 1. Make sure that the blue reducing disk has not been installed in the quick disconnect. 2. Check that the metal pre-filter is present and not clogged. 3. Make sure that the hose weight adjustment nut is screwed down correctly. 4. Make sure the hoses have been cut as indicated in the instructions. 5. Check that the booster pump is working normally. 6. Check that the wheels are turning between 28 and 34 times per minute. 7. Check that the pivoting connectors are fitted the right way round. 8. Check the orientation of the rear drive jet. 9. Replace standard tires with tires for tiled or glass surfaces (Ref. C-136). Cleaner hangs up on steps or other obstacles for longer than 3 minutes. 1. Check the wheel RPM's. 2. Verify the backup valve is cycling. Lift the valve out of the water and watch the jet. It should come on and turn off. 3. Adjust the thrust jet. 1. Check for air in the filter bag. (presence of air indicates a suction side air leak. It's also common for the system to purge air if solar is being used. 2. Ensure the backup valve isn't running constantly. 3. Ensure proper placement of the hose floats. Ensure there is no hose float between the backup valve and cleaner head. 1. Check wheel RPM and pressure to verify proper flow. 2. Check to see if drive chain has disengaged. 3. Check inline filter screen for blockage. 4. Check the water management system for obstrcutions. Cleaner is not picking up debris. 1. Ensure cleaner is running with proper flow. 2. Check the water management jets for obstructions. Use a paper clip to remove debris from jets if necessary. 3. Ensure filter bag is empty. Cleaner is only moving in one direction or running in circles. Cleaner falls over. 1. Check the filter bag. If it's fullit can weigh the cleaner down on one side. Empty or replace the bag. 2. Verify the thrust jet is at the 7 O'clock position. 3. Check the brass insert on the single side wheel. If it has come loose, replace and check the wheel for proper operation. 4. Check feed hose to ensure the floats are spaced evenly. 5. Check for water inside the head float. 6. Check the wheel RPM. If more than 36, make an adjustment to reduce the flow. Cleaner is sluggish, running with less power than normal. 1. Check the filter screen in the inline filter assembly on the hose and clean if necessary. 2. Ensure the skimmer basket, pump basket and pool filter are clean. 3. Check hoses, hose connections, backup valve and swivels for leaks that could cause loss of water pressure. 4. Check the wheel RPM. If below 30 RPM, see the wheel RPM adjustment process in the manual to increase flow to the cleaner. 5. Ensure drive chain is engaged. 6. Ensure bearings are clear from debris. Replace if worn. 7. Change or remove restrictor disk if necessary. Cleaner races around the pool or doesn't make contact with the pool bottom. 1. Check the wheel RPM. If more than 36, make an adjustment to reduce the flow. 2. Verify the backup valve is cycling. Cleaner seems to slide over the tiles. 1. Turn the appliance over and check the suction by making sure that all the jets located in the central pipework are working correctly. If they aren’t, make sure they are not blocked. 2. 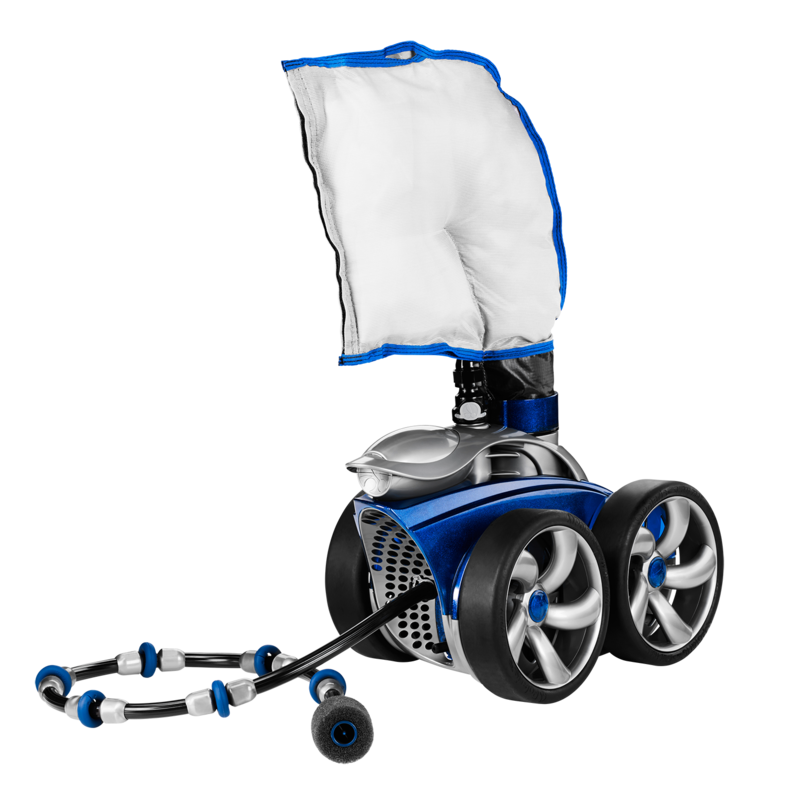 Fit the special tires for smooth tiled surfaces (Ref. C-13). Front end of the cleaner lifts all the time. 1. Check the wheel RPM. If not in the 30-36 RPM range, refer to the manual for adjusting the wheel RPM. 2. Adjust the thrust jet downward. 3. Verify the backup valve is cycling. Lift the valve out of the water and watch the jet. It should come on and go off. 4. Check for water inside the head float. 5. Empty the filter bag. Sweep hose is being sucked into the vacuum tube. 1. Ensure the opening at the end of the sweep hose is not blocked by the sweep hose scrubber. Replace the scrubber if worn or missing. 2. Check the wheel RPM. If more than 36, make an adjustment to reduce the flow. Sweep hose sprays water out of the pool. 1. Adjust the flow to the speed hose using the easy click settings or the adjustment screw. 2. Replace the scrubber if it is worn or missing. 3. Pull the sweep hose scrubber down to cover more of the tip of the hose. Hose(s) becomes tangled or coiled. Check swivels and make sure they are spinning freely. Lay the hose out in the sun for 24 hours to eliminate any potential hose memory. 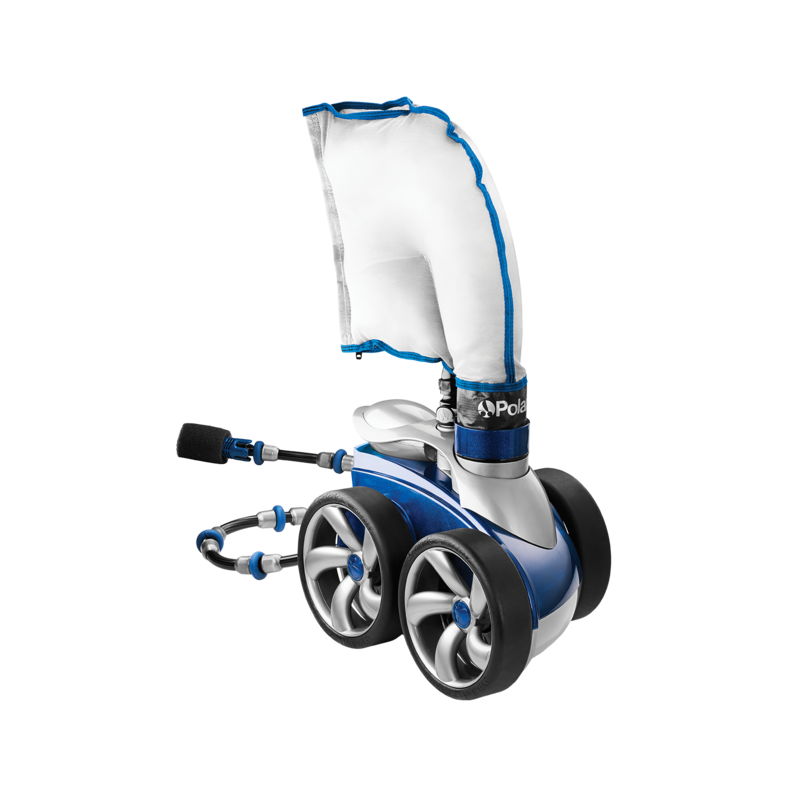 The wheels rotate less than 28 times a minute. 1. Use the Polaris pressure tester to check the booster pump pressure. 5. Make sure that the blue reducing disk has not been installed in the quick disconnect. 6. Check that the booster pump is working normally. 7. Clean the skimmer baskets, sand filter, and pump basket. The wheels rotate less than 34 times a minute. 1. Unscrew the hose-weight adjustment nut until the desired setting is obtained. 2. Fit the flow limiter (red or blue) into the quick disconnect. Cleaner does not move but there is pressure going to the unit. Verify the wheel RPM's are in range. If they are low or the wheels are not spinning then check the in-line filter for debris. If clear and the wheels still aren't spinning then check the water management system for clogs. If the RPM's are slightly below the prescribed range then remove the restrictor disc from the wall connector. If the wheels are moving too quickly then install the red restrictor disc. Cleaner does not climb/goes in circles. Verify that the wheel RPM's are in the correct range and adjust the thrust jet. If the cleaner isn't climbing well then ensure the thrust jet is in the 11 o'clock position. If it is going in circles then angle the thrust jet so it is pointing opposite of the way the cleaner is turning. For example, if the cleaner is turning right then point the thrust jet to the left. The cleaner is tipping over/floating. Verify the wheel RPM's are in range. Ensure that the head float is not filled with water. Try running the cleaner without the bag and if it fixes the issue then clean the bag with soap and warm water. This will remove any biofilm/oils that may have accumulated in the bag.